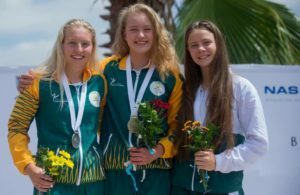 Team SA’s swimming team continued to dominate the pool, claiming 20 more medals – eight gold, eight silver and four bronze – on the second day of the CANA Zone 3 Swimming Championships in Khartoum, Sudan on Thursday. Kaydn Naidoo and Tully Njoroge proved to be unstoppable forces in the 50 and 100m backstroke as well as the 200m breaststroke, bagging the gold and silver medals in all three races in times of 30.21sec and 30.89, 1min 06.94sec and 1:09.37, and 2min 41.39sec and 2:47.36, respectively. Naidoo also added the 100m freestyle gold medal to Team SA’s tally, when he clocked in at 58.74sec. Gauteng’s Kuhlekonke Mkhize walked away with one gold and three silver medals, finishing first in the 100m backstroke in 1min 11.11secs and second in the 50m backstroke in a time of 33.46sec, the 100m freestyle in 1min 01.14sec and sealed the 200m breaststroke in 2min 55.27sec. In the female category, Erica Sibande was once again in top form, claiming three more gold medals. 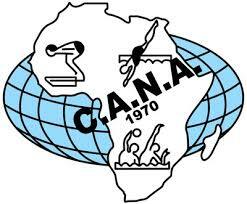 Sibande finished the 100m backstroke in 1min 16.28sec, the 50m backstroke in 35.71sec and the 100m freestyle in 1min 11.23sec. Meanwhile, Leah Christie and Lerato Thobeha were the silver and bronze duo in the 200m breaststroke and 100m freestyle, touching the wall in 3min 02.53sec and 3:23.79 and 1min 09.86sec and 1:10.47, respectively. Christie grabbed two more bronze medals in the 100m backstroke, which she completed in 1min 21.01 secs and the 50m backstroke in 35.95sec. 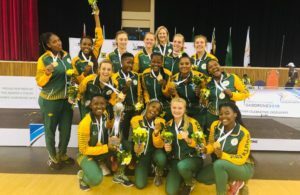 The championships will conclude on Friday with South Africa still in the lead on the medal table with 28 medals, Sudan now in second place with 26 medals, then Uganda with 20, Kenya with 17, Tanzania with 14, South Sudan with three and Djibouti still with one medal.